Luncheon meetings for 25 or more people are available for associations, businesses and organizations on any weekday. 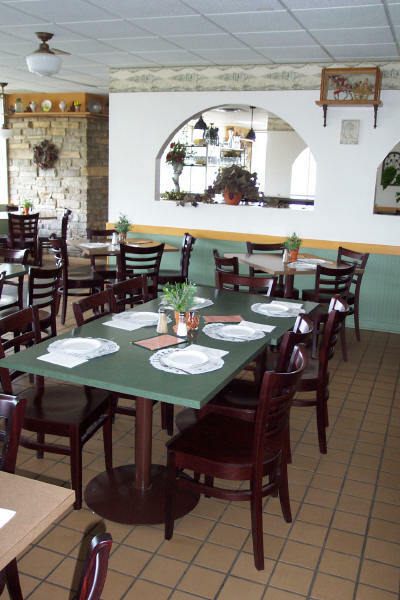 You'll enjoy salad, soft drinks and the greatest pizza in Michigan. We're told that turnout is the highest ever because your guests do not want to miss it. Contact Doug Fricano with any questions concerning your interest in your group luncheon. Adult beverages are also available. 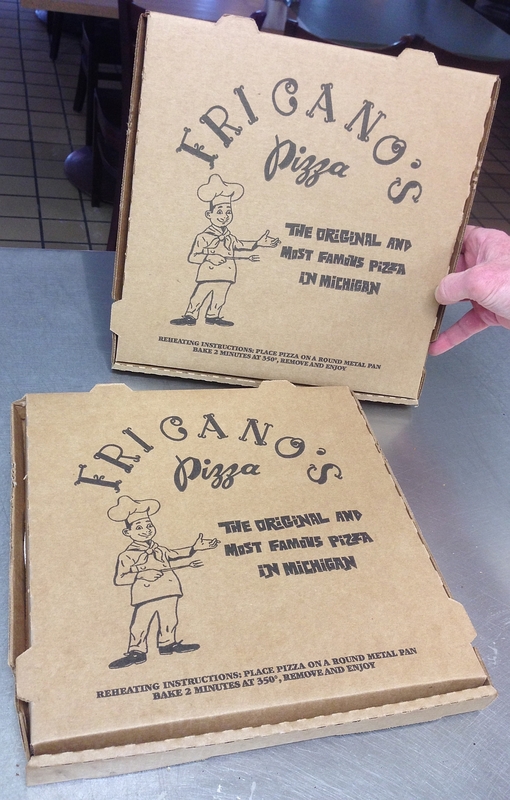 Fricano's Pizza was established in February, 2003 and serves the same original thin crust pizza pie made famous in Grand Haven in 1949. 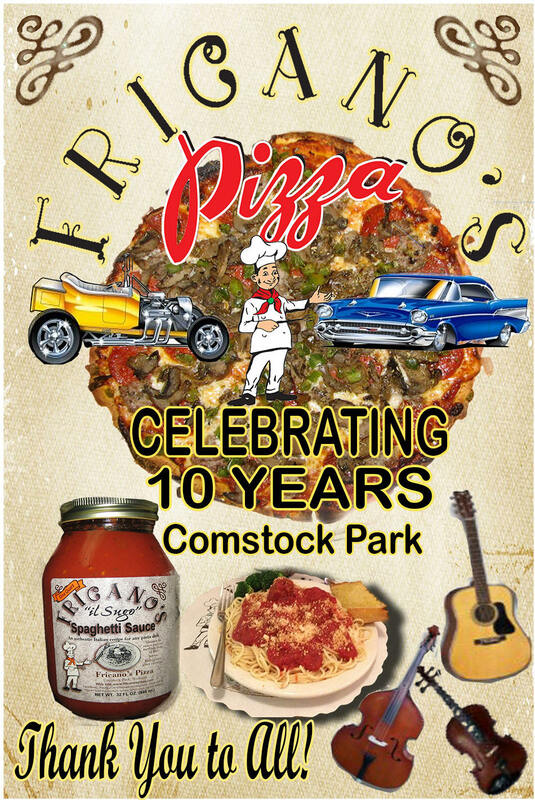 In 2013 Doug Fricano proudly announced the 10 year anniversary of the most recent expansion to the Fricano Pizza chain. Fricano's Pizza Restaurant located at 5808 Alpine Ave., NW in Comstock Park just a few miles north of Grand Rapids, on M-37 (Alpine Ave.). It's the site of an old Mr. Fables hamburger joint but it transformed into a Fricano's Pizza very nicely. 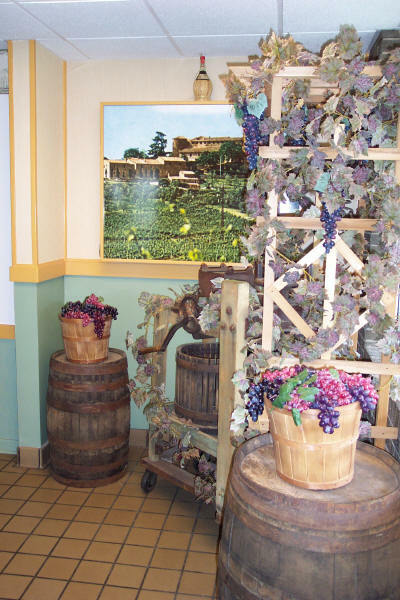 Everything is in place for its patrons to enjoy the delicious flavor of the "original and most famous pizza pie in Michigan". Customers are overwhelmingly happy and satisfied with the new look and the continued good service and flavor of the new place. 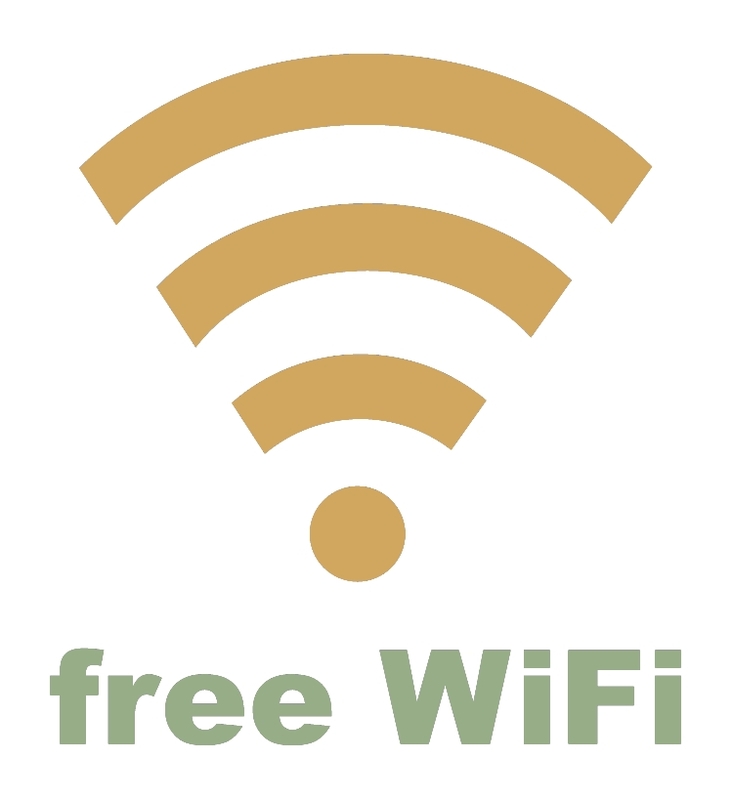 Nestled in amongst the largest apple belt of Michigan its a comfortable drive from anywhere in the Grand Rapids area. Doug is also getting rave reviews on his simple but delicious Mediterranean salad and the specialty pizzas he added to the menu. Make for a happy and satisfied outing, visit this or any of the Fricano Pizza parlors for the best pizza you have ever had.